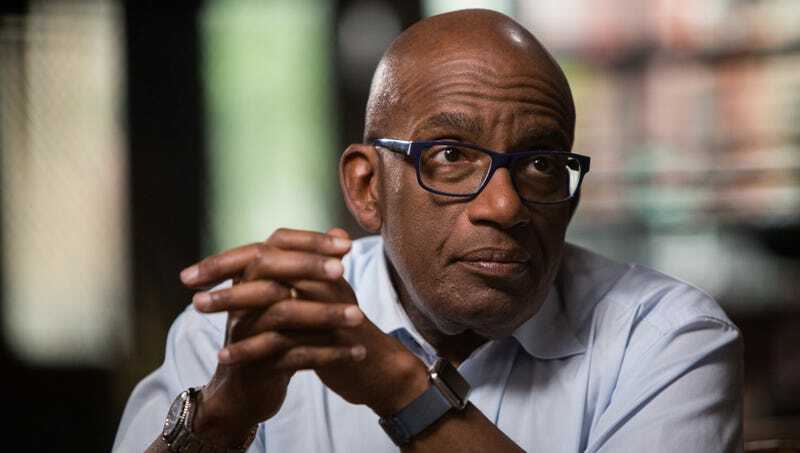 NEW YORK—Reflecting on the eventual conclusion of his storied, decades-spanning career, Al Roker told reporters Thursday that he has strongly considered retiring from creating the weather. “I’ve had a good run, but I’m starting to get to an age where I’d like to just relax and spend some time with my family instead of devoting every day to controlling the weather with my mind,” said the longtime Today anchor, explaining that while he was proud of the work he had done as the singular source of every blizzard, thunderstorm, tornado, and light breeze that has affected the United States over the past 20 years, he has begun to think about calling it quits to devote his golden years to traveling and other leisure activities. “It feels like just yesterday when I trotted out there for the first time, rubbed my temples with my fingers, and caused golf-ball-sized hail to pelt Boston. These days, it gets kind of exhausting to adjust the position of the sun in the sky or summon a hurricane with intense concentration. I’ve been incredibly fortunate to generate the temperature and precipitation activity for so long, but sometimes, it’s just time to pass the job on to the next generation.” Roker also reminisced about the two weeks in 2002 when the United States was completely devoid of any weather due to his brief absence from the post while undergoing gastric bypass surgery.